Sydney will soon have its own renovated railway urban park just like New York City's High Line. 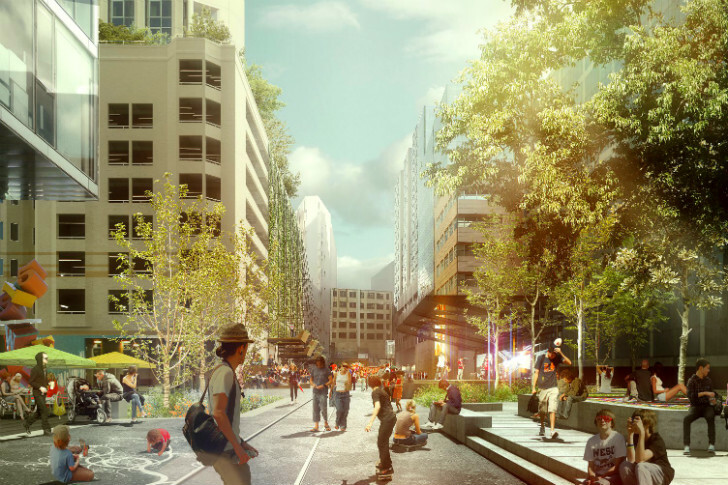 The Goods Line project will revamp a 500 meter stretch of abandoned railway and turn it into a vibrant urban conduit that will connect a number of the city's major attractions with pedestrian spaces. The Sydney Harbour Foreshore Authority is leading the project with design help from ASPECT Studios and Choi Ropiha Fighera, and the first half of the park is set to open in the fall of 2014. The Goods Line will be a 500-meter-long urban pedestrian and cycle network stretching from Railway Square through Ultimo to Darling Harbour. 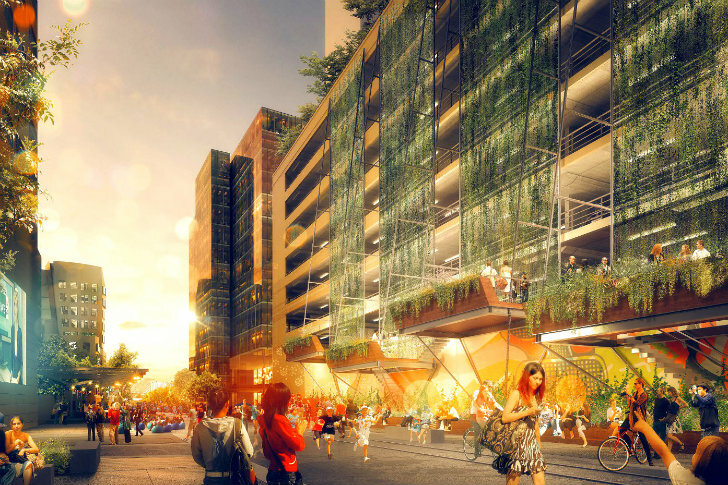 The park will serve as a hub that connects 80,000 students, locals and visitors with a number of major attractions, like the Powerhouse Museum, the University of Technology, Sydney (UTS) and the future Sydney Conference and Exhibition Centre. ASPECT Studios and Choi Ropiha Fighera designed the elevated public space for the Sydney Harbour Foreshore Authority. Study pods, pop-up bars, restaurants, lounge spaces, play areas, stages and pedestrian paths will all be included in the new urban park. Remnants of the railway (like the rail itself and bridges) will be revamped and highlighted as a nod to the line’s historic past. Work on the North corridor has already begun, and it’s expected to be completed in November 2014, which will coincide with the opening of UTS’s Dr Chau Chak Wing Business School designed by Frank Gehry. The South corridor, which is already an existing pedestrian corridor, will be revamped after this first section is completed. The city is also performing a feasibility study on extending The Goods Line even further to Mortuary Station and Redfern. The Goods Line will be a 500-meter-long urban pedestrian and cycle network stretching from Railway Square through Ultimo to Darling Harbour. The park will serve as a hub that connects 80,000 students, locals and visitors with a number of major attractions, like the Powerhouse Museum, the University of Technology, Sydney (UTS) and the future Sydney Conference and Exhibition Centre. ASPECT Studios and Choi Ropiha Fighera designed the elevated public space for the Sydney Harbour Foreshore Authority. Study pods, pop-up bars, restaurants, lounge spaces, play areas, stages and pedestrian paths will all be included in the new urban park. Stairs will act as an amphitheater for events and concerts. Remnants of the railway (like the rail itself and bridges) will be revamped and highlighted as a nod to the line's historic past. Landscape plan for the south corridor. Concept design for the North Corridor. Connection of The Goods Line to the surrounding attractions. Connections from The Goods Line to the rest of the city. The Goods Line with both South and North corridors.